Obama Administration Extends Overtime Pay to Millions of Middle Class Workers | Kalijarvi, Chuzi, Newman & Fitch, P.C. On May 18, 2016, President Obama released the Department of Labor’s final rule updating the Fair Labor Standards Act (“FLSA”) overtime regulations and dramatically expanding the number of employees entitled to overtime pay. The FLSA overtime regulations were last updated more than a decade ago. Previously, FLSA exempt employees were those who met certain minimum tests related to their primary job duties and were paid more than $455 per week or $23,660 for a full-year. The impact of the old rule is clear: any hourly employee earning more than $23,660 per year (which comes to less than $12 per hour) is not eligible for overtime no matter how many hours they work per week. This gave rise to exploitation of middle class employees by paying them just over the threshold, such as $24,000 a year, thereby ensuring they were exempt from the overtime rules, even though $24,000 is considered poverty level for a family of 4 in 2016. The final rule, which takes effect on December 1, 2016, dramatically expands the number of employees entitled to overtime pay by effectively doubling the salary exemption level, from $23,660 to $47,476 (or $913 per week). The new rule will automatically update to ensure the threshold is maintained at the 40th percentile of full-time salaried workers in the lowest-wage Census Region, which is currently the South. In addition, the total compensation threshold for highly compensated employees was raised to $134,004, or the 90th percentile of full-time salaried workers nationally. According to DOL, about 35% of full-time salaried employees will now be eligible for overtime pay when they work over 40 hours, in comparison to the 7% eligible under the old threshold. DOL estimates that the new regulation will boost more than 4.2 million workers’ pockets within the first year of implementation. This is because to avoid paying employees overtime, employers will either have to pay them more than $47,476 per year, or not require that they work more than 40 hours in a week. Vice President Biden noted that the share of full-time workers qualifying for overtime based on their salaries has plummeted from 62% in 1975 to 7 percent today. The upside of these changes for workers is more pay, more free time, or perhaps a raise to put them over the salary threshold. Also, employers may have to hire additional employees to work hours that used to be overtime. The downside, however, may come in the form of layoffs and salary adjustments—i.e., the employee continues to work the same hours and the employer lowers the hourly rate. Small businesses and nonprofit groups were quick to criticize the changes. 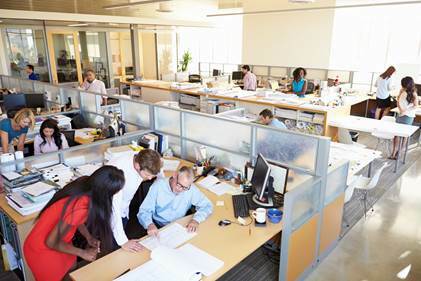 “As it stands, throngs of employees across the country…will face reduced opportunity and flexibility in the workplace,” said American Bankers Association President and CEO, Rob Nichols. Similarly, the Society for Human Resource Management stated that “[w]hile changes in regulations were meant to benefit employees, a change of this magnitude will do the opposite. There likely will be fewer opportunities of overtime pay as employers are forced to restructure their compensation and staffing.” These changes remain to be seen. For more information on how the overtime rule changes may impact you or your business, please contact us at Kalijarvi, Chuzi, Newman, & Fitch. PreviousHow Appealing are HHS Scientists Now?